Aliport Commercial were first contacted in February 2016 about this project. 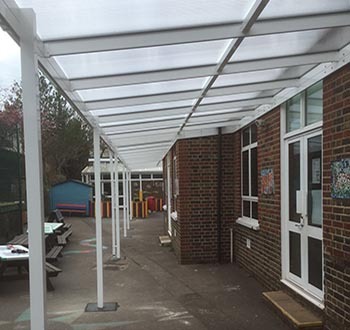 St Pancras Catholic Primary required an outdoor Learning Area to be created that would provide shelter from the children from both the sun and the rain. 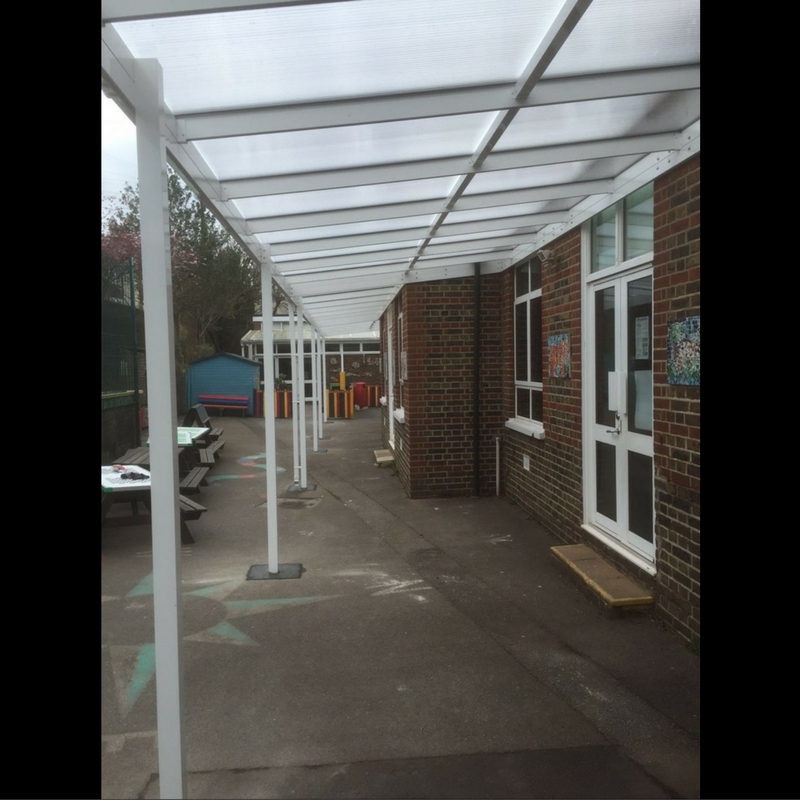 Aliport Commercial undertook two site visits to fully understand the project, measure up and produce the designs for the new canopy. 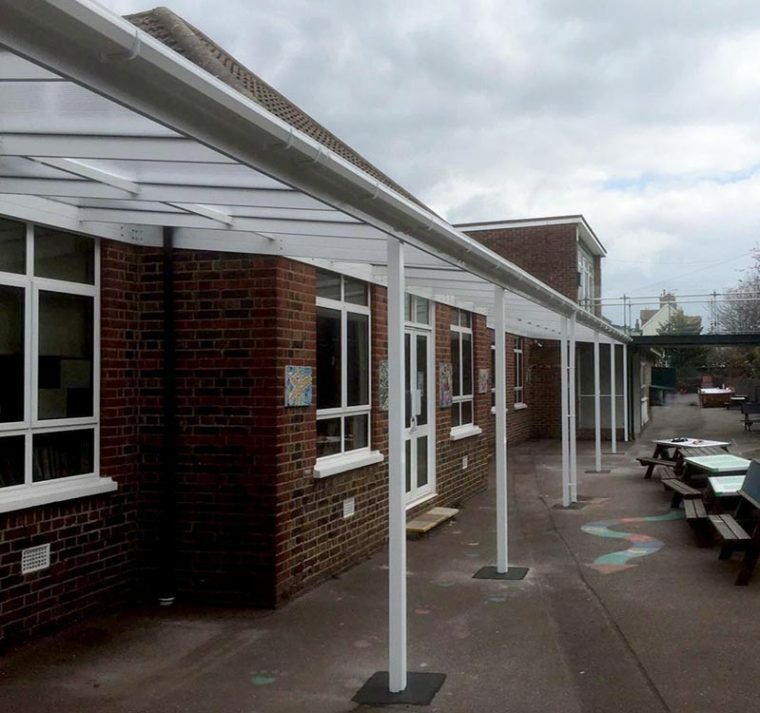 Careful planning had to be undertaken due to the tight time-scales of the works with initial enquiry in February with required completion in the Easter Holidays during April. 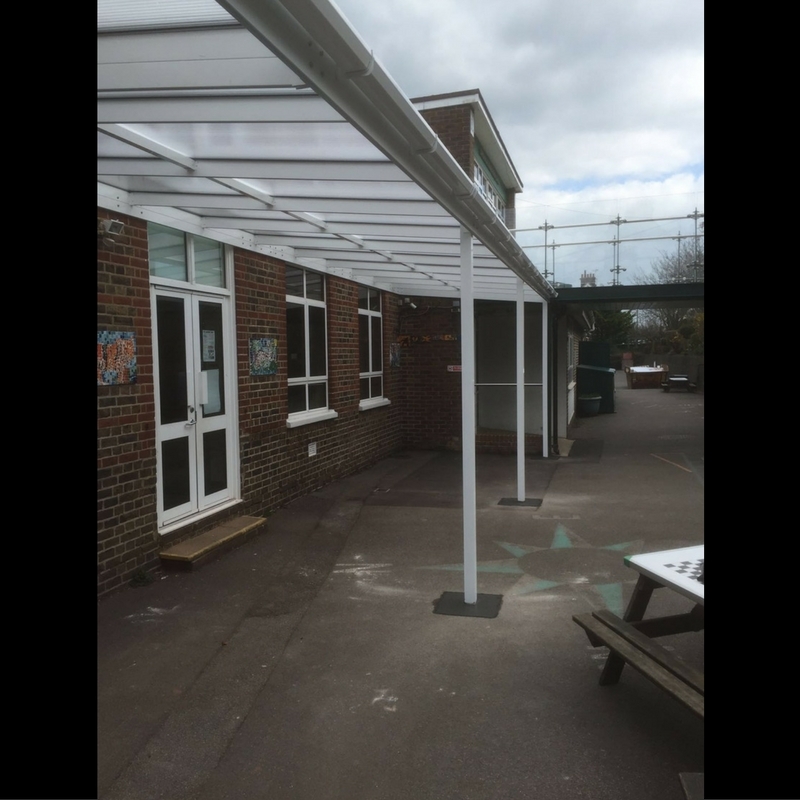 Aliport Commercial commenced works in April 2016 and over a 4 day duration installed the canopy. The Aluminium was powder-coated white leaving an attractive finish. 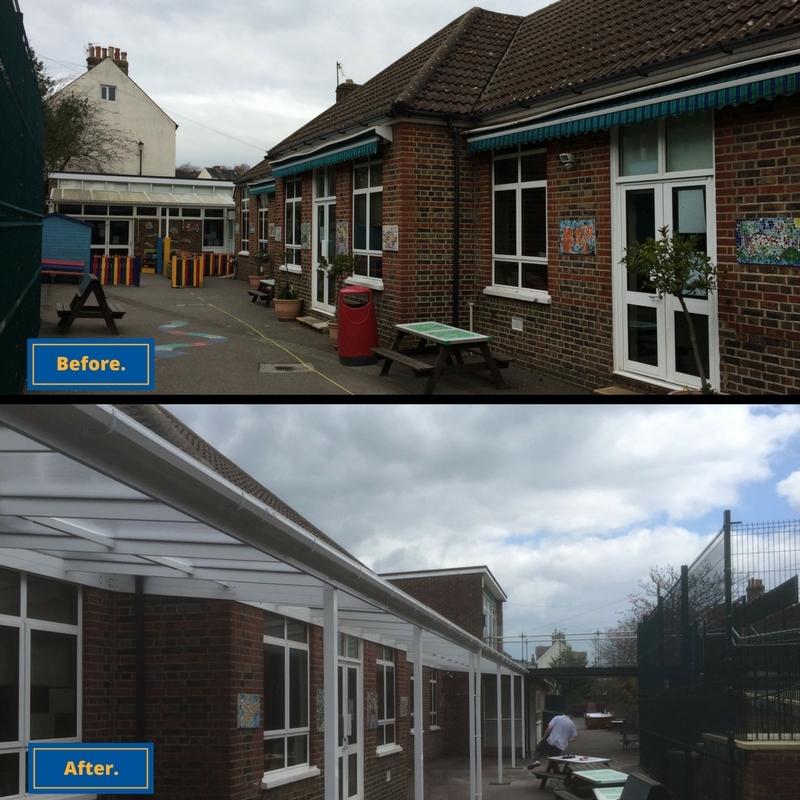 The Canopy was completed successfully in line with the time-scales required to leave a great new outdoor learning space for the children of St Pancras Catholic Primary School to use. 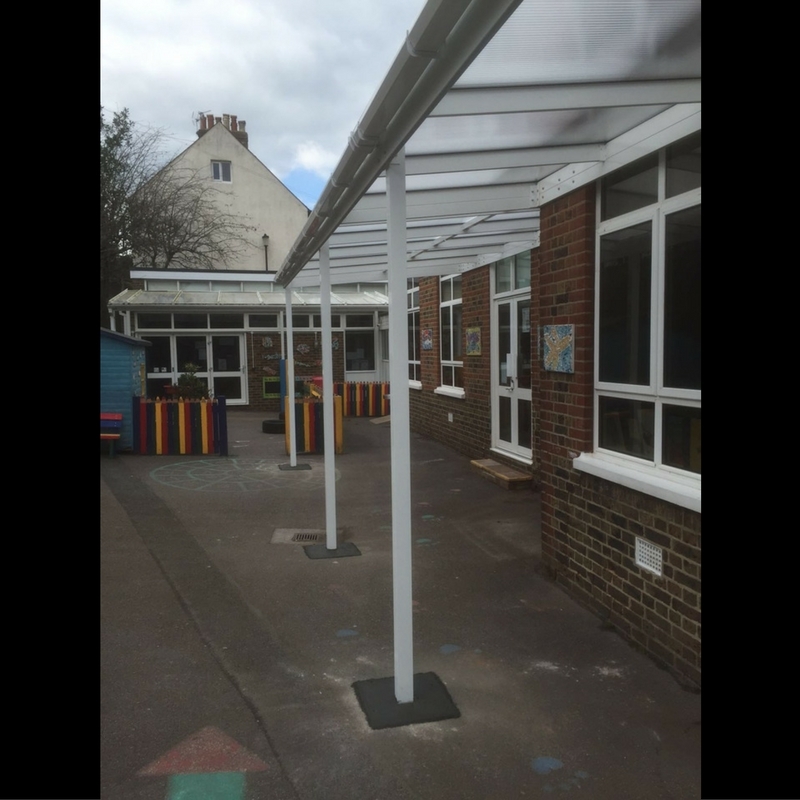 Mono Canopies create ideal Outdoor Learning Spaces for schools to utilise. . .